Discrete and Continuous Models and Applied Computational Science was created in 2019 by renaming RUDN Journal of Mathematics, Information Sciences and Physics. 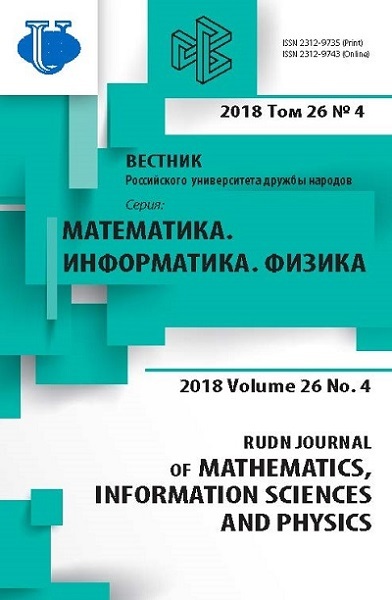 RUDN Journal of Mathematics, Information Sciences and Physics was created in 2006 by combining the series "Physics", "Mathematics", "Applied Mathematics and Computer Science", "Applied Mathematics and Computer Mathematics". Discussed issues affecting modern problems of physics, mathematical modeling, computer science. The widely discussed issues Teletraffic theory, queuing systems design, software and databases design and development. Discussed problems in physics related to quantum theory, nuclear physics and elementary particle physics, astrophysics, statistical physics, the theory of gravity, plasma physics and the interaction of electromagnetic fields with matter, radio physics and electronics, nonlinear optics. Journal has a high qualitative and quantitative indicators. The Editorial Board consists of well-known scientists of world renown, whose works are highly valued and are cited in the scientific community. Articles are indexed in the Russian and foreign databases. Each paper is reviewed by at least two reviewers, the composition of which includes PhDs, are well known in their circles. Author's part of the magazine includes both young scientists, graduate students and talented students, who publish their works, and famous giants of world science. Zaryadov I.S., Tsurlukov V.V., Carvalho C.V., Zaytseva A.A., Milovanova T.A. Andreev S.D., Samouylov K.E., Tyurlikov A.M.
Apreutesey A.Y., Zavozina A.V., Korolkova A.V., Kulyabov D.S.